The swatch I have for you right now is Mint Sorbet by Sally Hansen from the Xtreme Wear line. This shade is a pale mint green creme. This polish is very thick, and you could probably get away with only using one coat, but I used two. 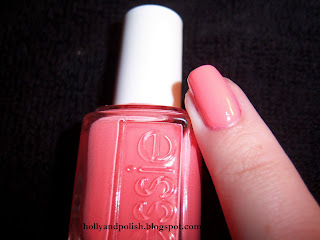 I think this shade is nice, but it's not something that I like enough to wear often. 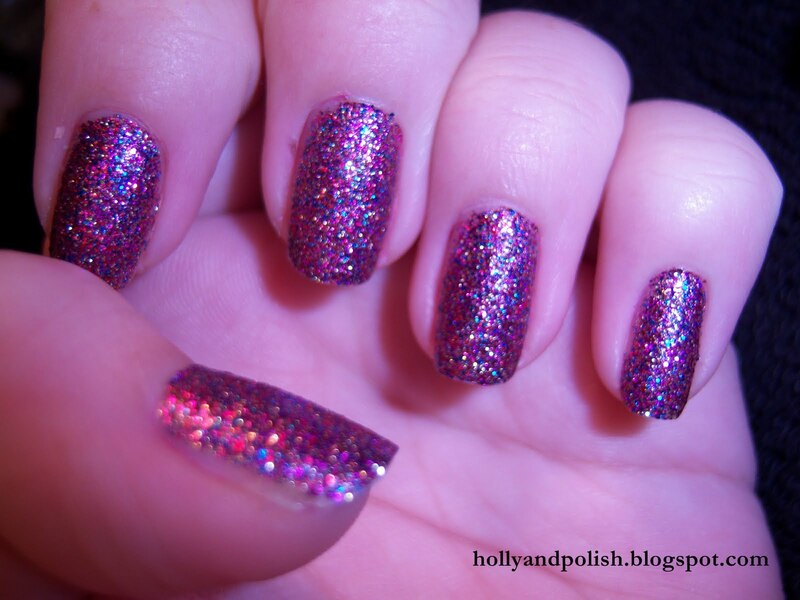 Maybe I can top it off with a nice glitter next time I decide to try it out? I’m currently sitting in my old bedroom at my Mom’s house completely bored, so I figured I would post a few more swatches today! I’m here at my Mom’s place house sitting for the weekend, and while having some alone time with the house to myself, I had planned to just lounge around and watch tv. The problem is I can’t do that. The tv at my Moms is in her living room and her cat is down there. 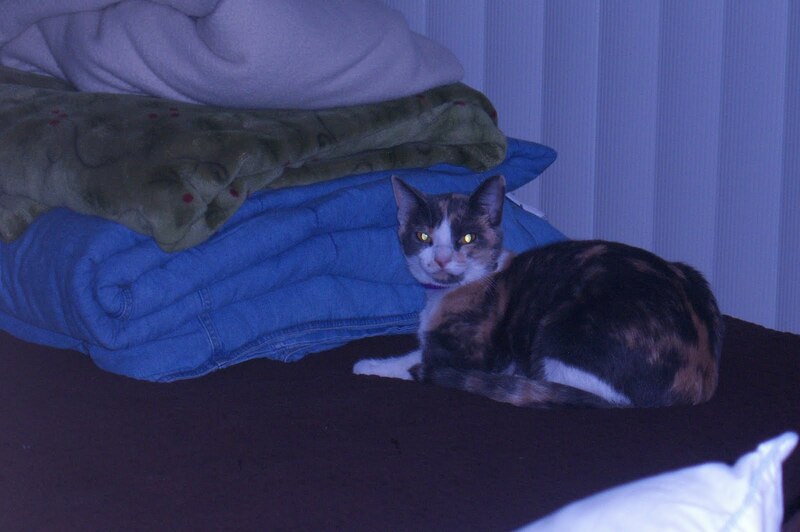 Now I know it sounds dumb to be scared of a cat, but this is a really mean cat. Each time I go down stairs it walks up to about four feet in front of me and starts hissing. Creepy. Anyway, so I’ve secluded myself to the upstairs part of the house and have been spending some time swatching some of my polishes! The swatch I have for you guys right now is Time to Shine by Sally Hansen from the Xtreme Wear line. This polish is a beautiful gold foil. 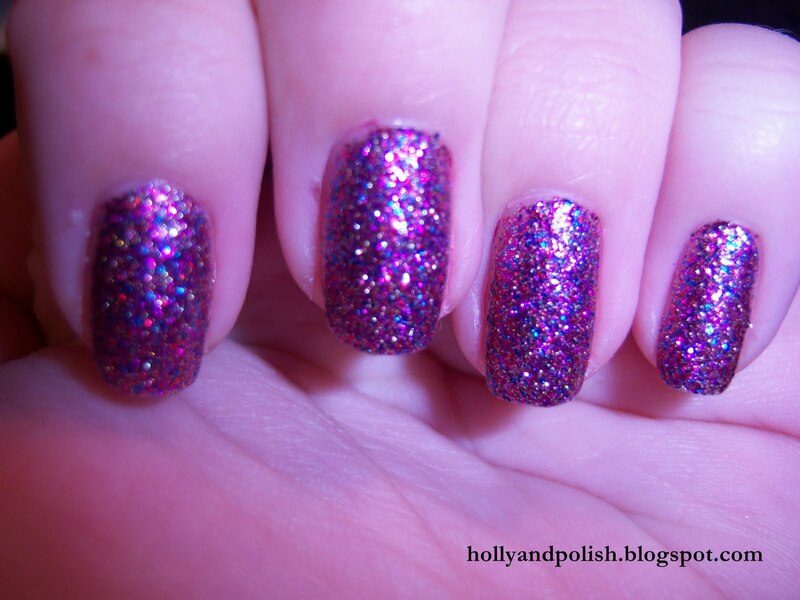 I feel like this one looks like Zoya’s Jules. I think Jules just might be lighter and a shimmer instead of a foil. That sounds like a big difference, but I will probably do a comparison post just because when I swatched this Jules popped into my head, so I’m thinking that they must be somewhat close. (If it's possible for a foil to look like a shimmer) The formula for this was a little bit thick and hard to get even, but I managed to only have to use 2 coats. 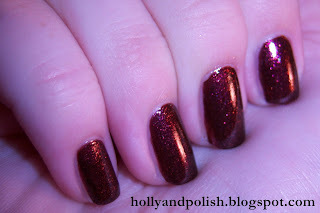 This polish was only about two dollars, so I think it’s definitely worth picking up! This is the cat I was talking about. Haha. Doesn't it look mean?! So the other night I ended up purchasing Sounds Grape to Me by Nicole by OPI , and I have to say, I’m really loving this color! 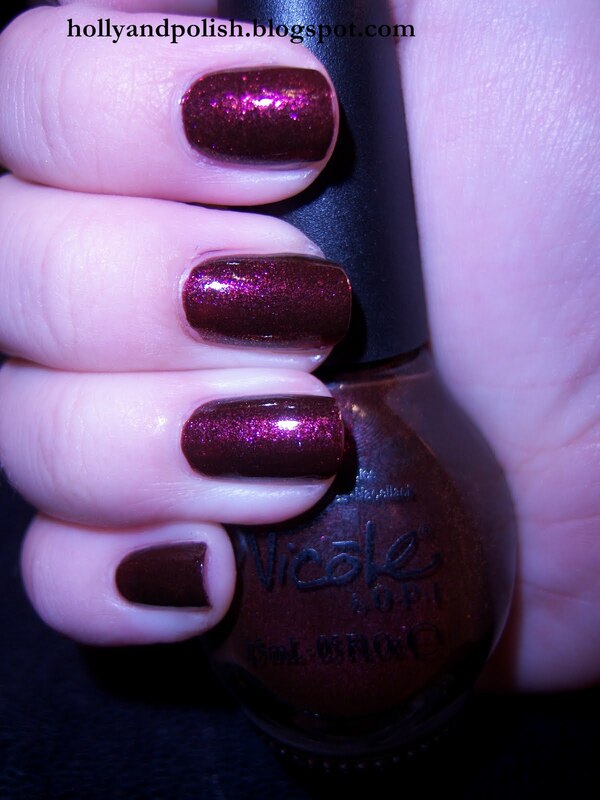 Sounds Grape to Me is a beautiful burgundy shimmer. It has a very minimal duochrome look to it and will slightly shift from burgundy to gold, which I don’t think is extremely noticeable in my swatches. The formula for this one was really good, and I only needed two coats. I definitely can’t wait to wear this color in the fall! So last night I had to run to Nicole by OPI to pick up a few things, and I ended up getting some new polishes! One of the polishes I picked up was a Target exclusive Nicole by Opi in the color It’s Not Me, It’s Blue. I’m absolutely crazy about this color! 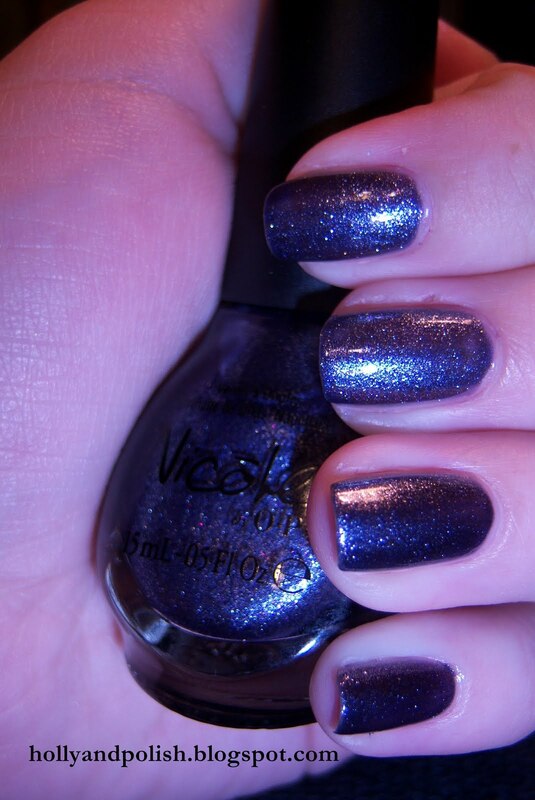 It’s a blue shimmer that has a slight hint of purple to it. I’ve seen It’s Not Me, It’s Blue described as a periwinkle color, but I think it’s a bit too dark to be considered periwinkle. 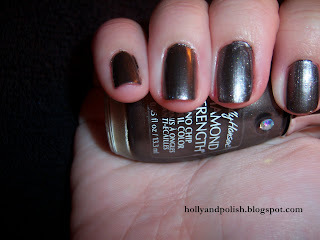 This polish is super sheer, so I had to use four coats of it in order to get it opaque. So today I'm wearing Zoya's Caitlin with Sally Hansen Xtreme Wear in Disco Ball and I absolutely love it! While Caitlin is a beautiful color (a gray, periwinkle shade with a creme finish), I just felt like mixing it up a little and adding something more. I thought that Disco Ball would look awesome with this, and I was right! Disco Ball is a pastel multi-colored glitter that usually looks pretty good on top of a lot of shades. 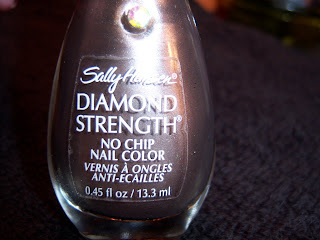 I'm definitely a fan of the Sally Hansen Xtreme Wear polishes. They have some really pretty shades and are super affordable (they're usually under $3 dollars). 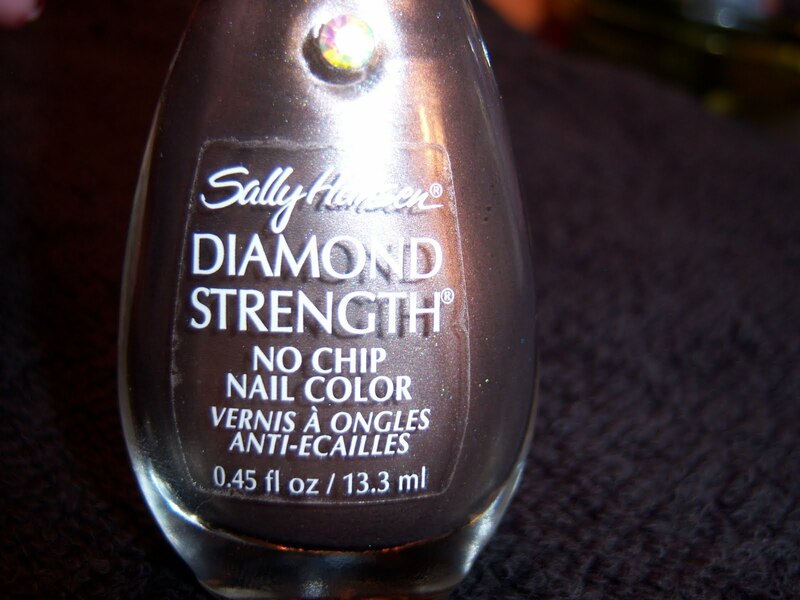 So today I decided to wear Sally Hansen Diamond Strength in Tyin' the Knot . I bought this shade about two months ago and tried it out once but wasn’t too crazy about it. The last time I wore it, I actually put it on and then took it off right away because I felt that it looked streaky and just didn’t look good with my skin tone. However, with this blog I do want to push myself out of my nail polish comfort zone at least a little bit, so I decided to give it a second try! I definitely like this a bit more than I did the first time I used it. Tyin’ the Knot is a shimmery pewter color that has a slight lavender look to it. I was more careful with applying this time around, so I didn’t really get a streaky look. I think this shade would look great on someone who is a little bit tanner than me. 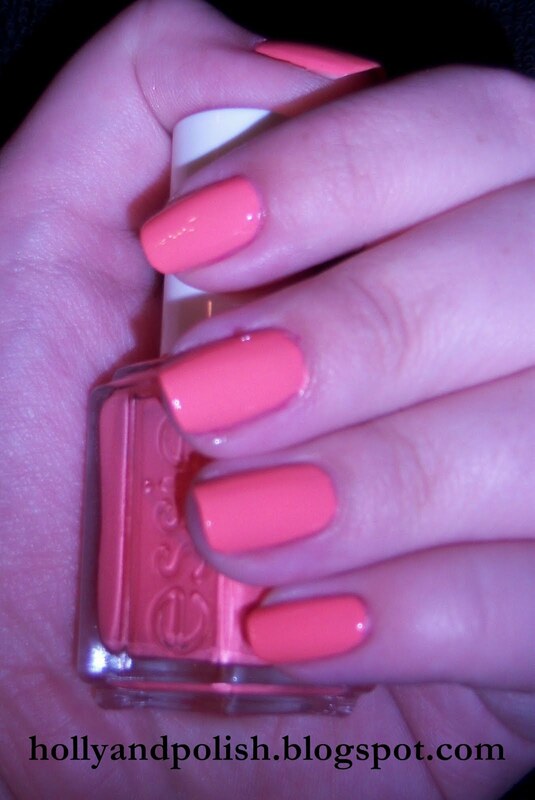 This would be a great shade to wear during the transition of summer to fall! I bought this at Target for about $4.50. This blog is something that I’ve been considering doing for awhile now. For the past few months, I have been reading nail polish blogs regularly and have wanted to start my own, but just never pursued it. Currently, I have 74 nail polishes. I usually do my nails every day, and have lately found myself taking pictures of my nails to either send to my sister, who I recently got into nail polish, or to just save to look at for fun. About a week ago, I was out with my mom and she suggested that I should find some sort of creative outlet, such as writing a blog. So, I am now finally committing myself to this, and am hoping all goes well! Today, I’m going to jump right into swatching some of my collection, and will be showing you three Sally Hansen Maximum Growth polishes. I did a little bit of research before doing this and tried to find some shades that I have that haven’t been swatched a billion times already in other nail polish blogs, so I hope that this is helpful. The first swatch I have is Faith . Faith is a dark pink color that has a slight shade of red to it. It that looks just a little bit darker in person than it does in the picture. The formula for this one is great! I used 2 coats. The next shade is Caring Clay . To be honest, I’m not that crazy about this one. 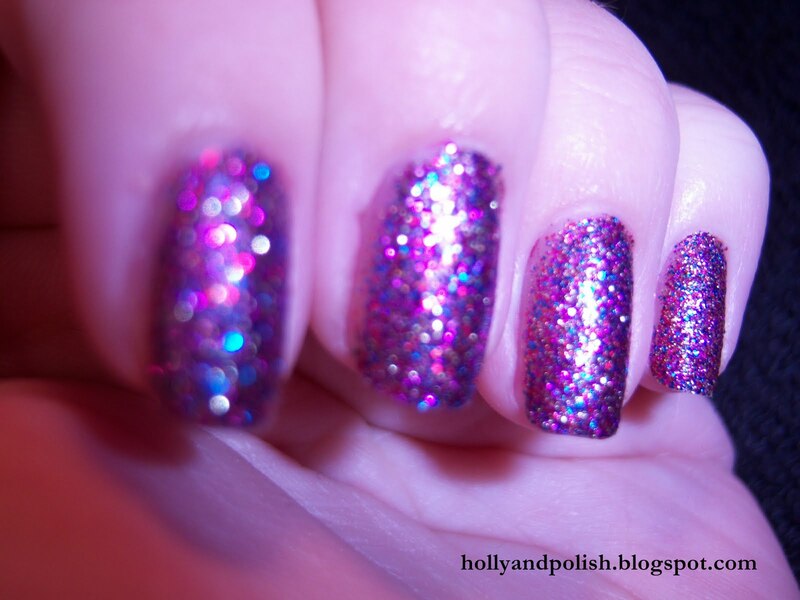 It is a light pink, brown-y color with a small amount of shimmer. The formula is very watery and streaky and was hard to work with. I used 2 coats for this one. Maybe if I would have used 3 it would have looked better? I don’t know. Last is Sacred Scarlet . This is just a nice cherry red color. I have no complaints about this one. It’s a nice basic shade that I could wear whenever. Well I guess that's it for now. I'm super excited for this blog, so I really hope someone reads it! I guess I will find out in time.